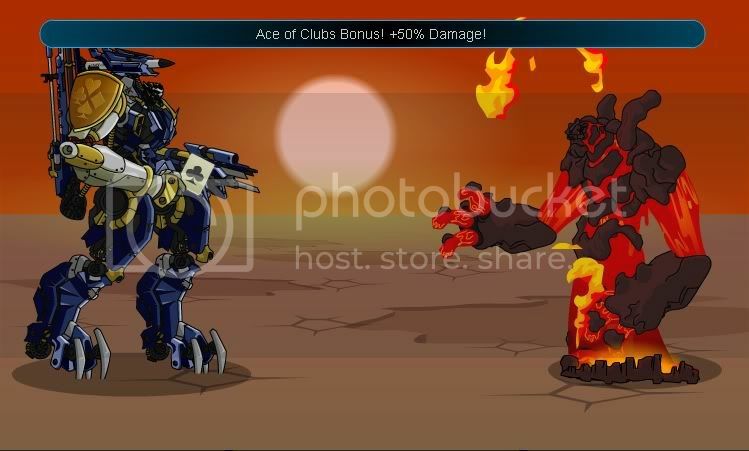 -Chance for "Ace of Clubs Bonus! +50% Damage!" "Clubbed! : -40 Defense! ", lowers opponent's Defense by 40, lasts 3 turns. Also increases attack's damage by 50%. 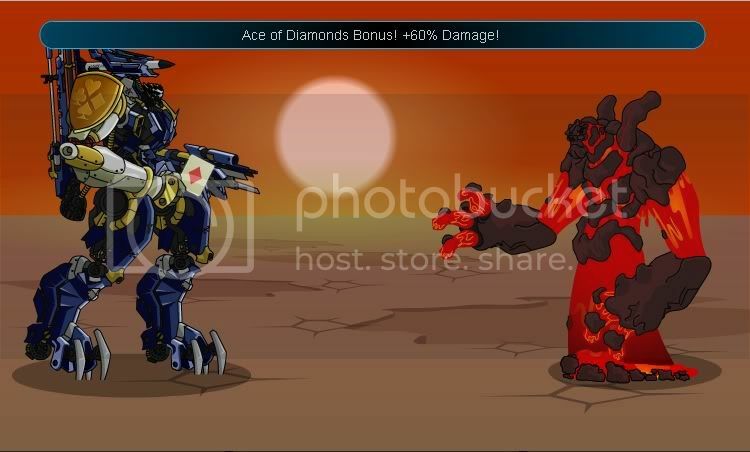 -Chance for "Ace of Diamonds Bonus! +60% Damage!" "Diamond Dust: 1.3x Damage Over Time", causes 1.3x DoT, lasts 3 turns. Also increases attack's damage by 60%. Description: You're holding all the good cards!